Norman really went out of his way to make us all happy on board, outstanding crew. 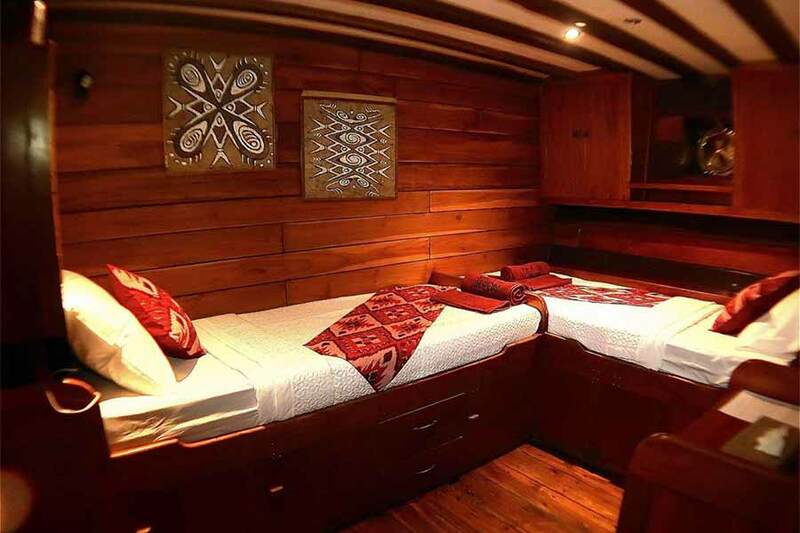 This beautiful Pinisi-styled teak motor-sail yacht combines tradition with comfort and modern conveniences. According to Horst Liebner, a German researcher into maritime culture and the history of the Malay Archipelago, the two-masted Indonesian vessel’s architectural term is determined by its shape and type of hull, as well as its rig and sails. 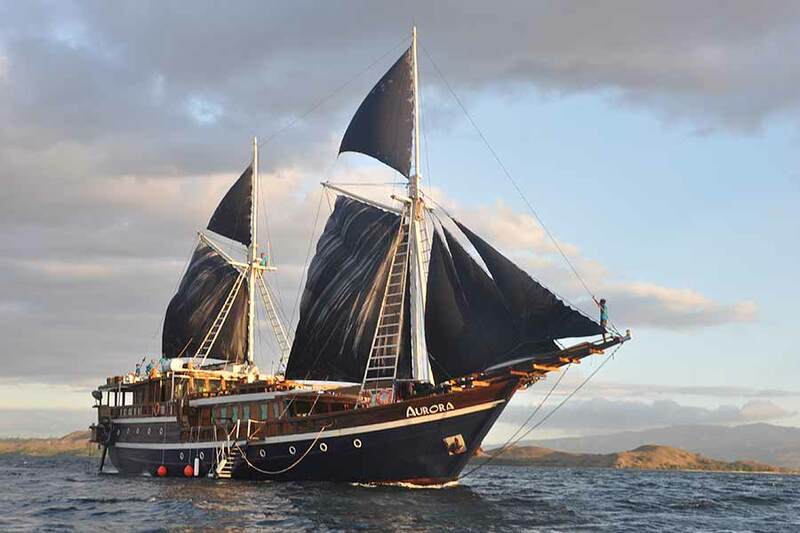 With their wooden hull and noted bowsprit, pinisis were and continue to be built in shipbuilding villages along the southern Sulawesi coast. 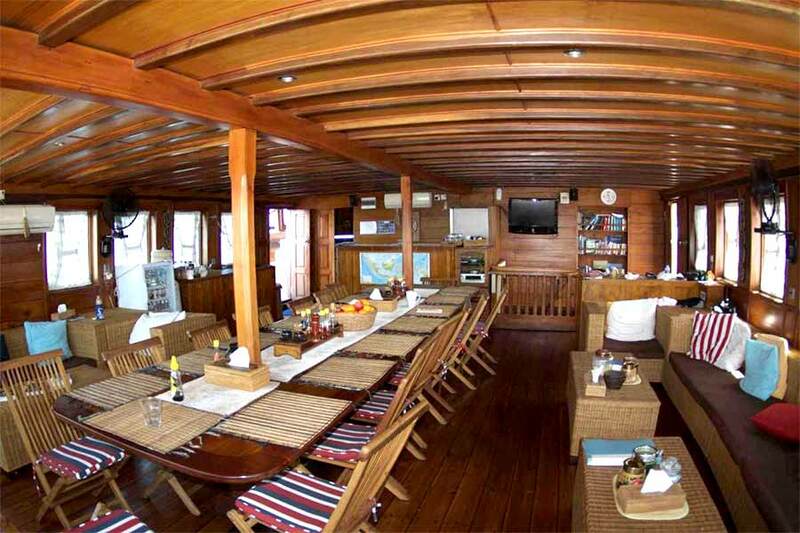 Open sitting corner at stern; spacious sundeck with sunbeds above the main salon. 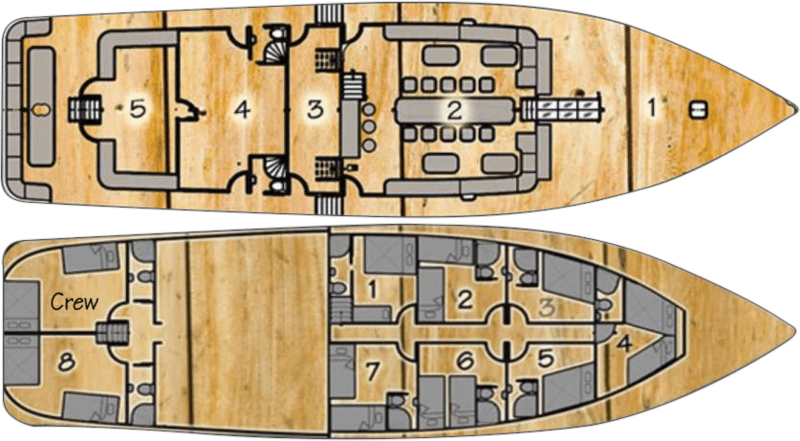 Guest quarters are located on the main deck (numbered 1 to 8). 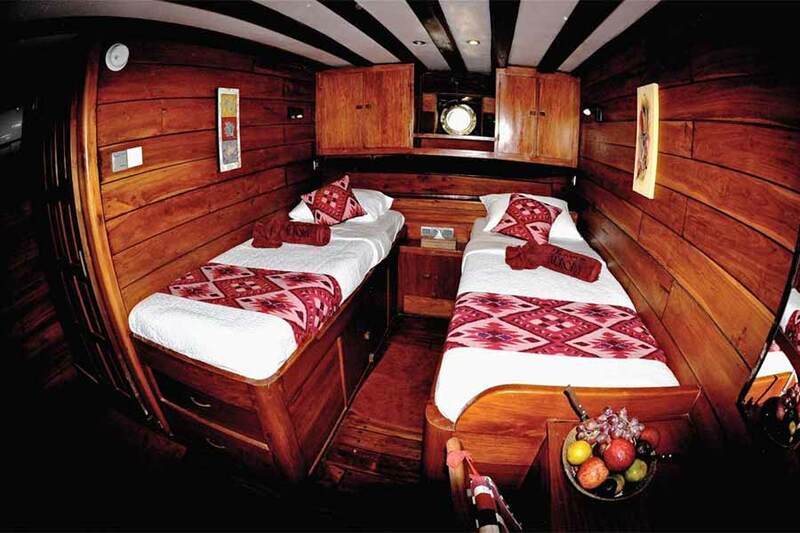 Cabins have either king beds or two single beds or a combination of the two (king and single). 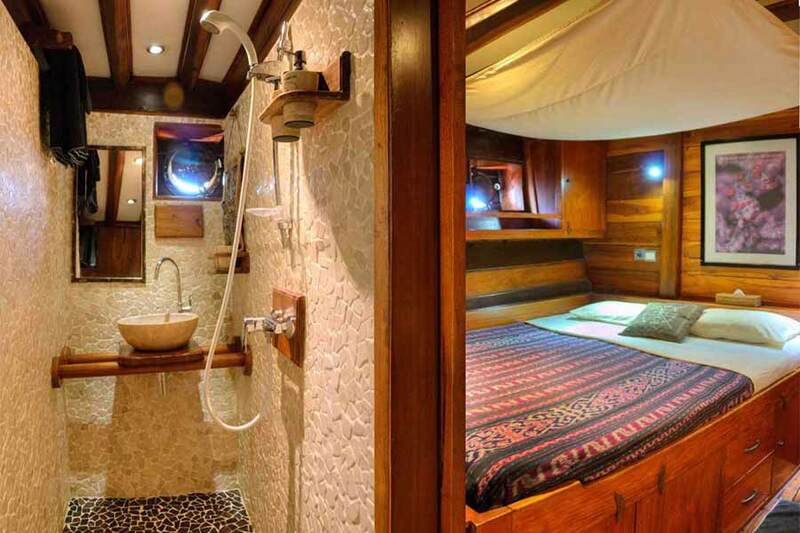 Each cabin immerses guests in traditional Indonesian decor with rich woods and warm colors. 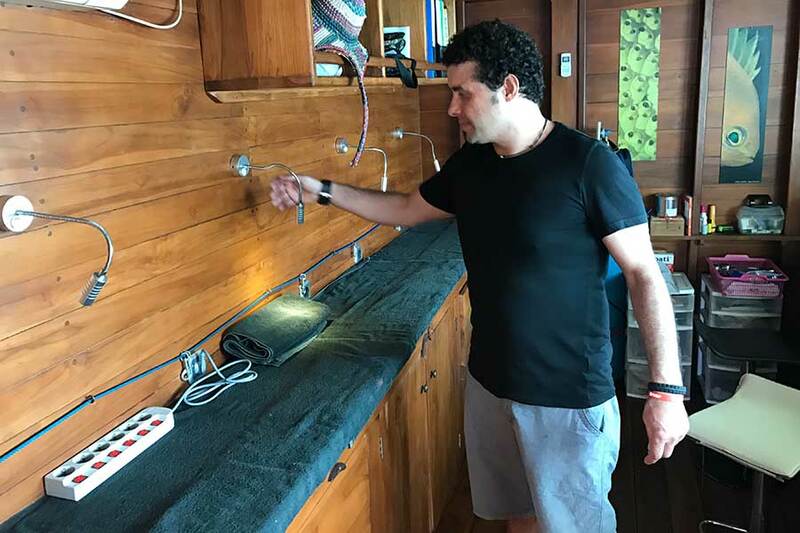 All cabins have private bathrooms and air conditioning.